Leave a comment on this post for a chance to win one of these books. The stacks of books in my home office were getting out of control for awhile since I was finishing Craft Moves, my forthcoming book about how to use mentor texts in the classroom, this past month. (I submitted the manuscript to my editor two days ago!) As May drew to a close, I felt like I had a good handle on my workload so I tackled one of my TBR piles in my office. And I’m thankful I did (and not just because my I have less books stacked up in my office)! While I read several books, four inspired me as both an educator and a person. It’s my hope at least one of these will be added to your summer reading list since all four of them are gems. Have you ever wondered how to foster a stronger community in your classroom? How could developing social readiness skills help your students become better readers and writers? Buckley provides an integrated approach to fostering social-emotional skill development throughout the school year in Sharing the Blue Crayon, which is geared to K-3 teachers. Buckley teaches readers how to implement a Friendship Workshop to help “children identify and regulate their emotions so they can make choices that support their relationships and their schooling. It reframes how you react to their behaviors in order to support the literacy work you are already teaching. Friendship Workshop is a means for mindfully being with your students and building a caring, supportive community that learns and grows together” (2015, 3). In chapter 3, Buckley outlines the friendship workshop format, which is similar to the flow of writing workshop. There are elements of the Responsive Classroom approach in Friendship Circle, which makes this book a nice pairing with The First Six Weeks of School, 2nd Edition, which I will discuss next. The body of Buckley’s book provide ways to blend literacy instruction with life lessons. Chapter four goes into great detail about how to link the skills (e.g., empathy, kindness, responsibility, perseverance) to literacy instruction. In addition, Buckley includes a list (pages 28 – 29) of picture books she uses to support the Friendship Workshop themes. 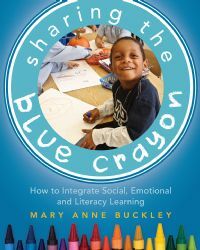 Throughout Sharing the Blue Crayon, Buckley provides suggestions and choices rather than one way of teaching students social and emotional skills. Finally, she makes a case for the importance of making time for this kind of work — because it really matters as much as the academic standards do — on pages 178-180. 1) Create a climate of warmth, inclusion, and safety. 2) Teach classroom routines and behavior expectations. 3) Help students get to know and care for the classroom and school environment. 4) Establish expectations for academic work. If you take the first six weeks of the school year to work towards these goals, then you will have a classroom that runs smoothly all year long! The second edition of The First Six Weeks of School is divided into sections for Kindergarten, first, & second grades, third & fourth grades, and fifth and sixth grades, which means the support is targeted to your students’ developmental needs. The book includes sample schedules, ideas for teaching collaboration, discipline guidance, tips about teacher language, and lots of ideas for morning meeting, which I believe is the best way to ground students each and every day. Would you benefit from having a literacy coach on-call to help you solve pressing writing workshop-related problems? 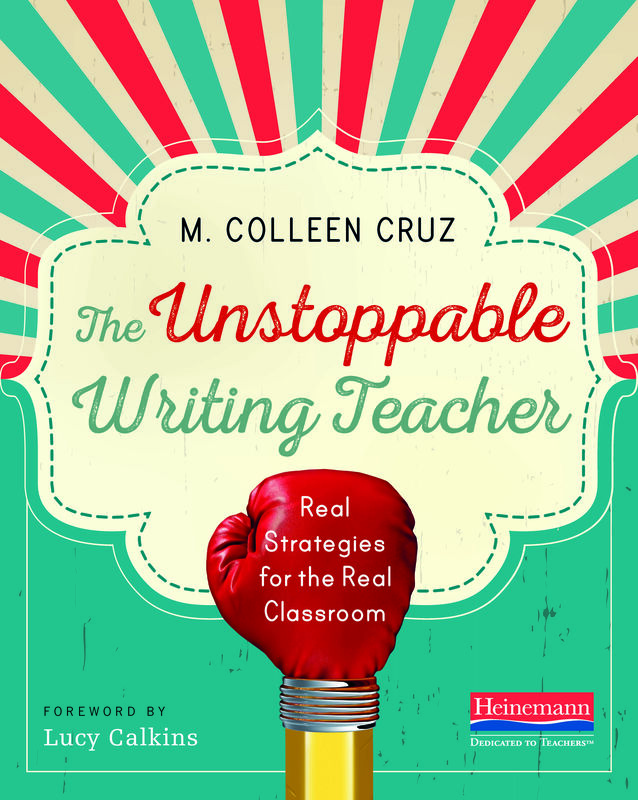 Colleen Cruz tackles teachers’ most predictable workshop-related issues in her new book, The Unstoppable Writing Teacher. While you can sit down and read this book from cover-to-cover, a smarter way to use it is by looking at the table of contents and starting with the chapters that cover the issues you face the most as a workshop teacher. That’s the way I read it. I thought about the issues I face when I work with teachers of writing. Adopt an editorial stance when working with sophisticated writers. Up the ante with higher level, age-appropriate, mentor texts. Increase your own knowlege about writing so you can use your own writing as a mentor text with your higher-level students. 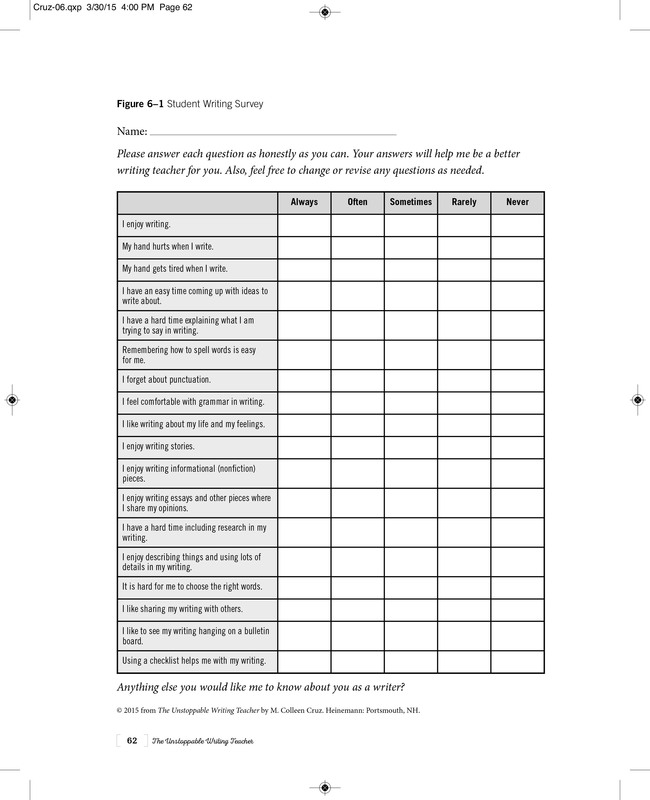 Create a list of common go-to teaching points to lift the level of sophisticated writers’ work. Some things you can help advanced writers do better are to uncover the true signficance of their writing, write with more complex structures, combine structures and genres, write with an economy of words, research their topic regardless of genre, etc. Encourage advanced writers to have an independent writing project in process at all times (which they can work on once their workshop-related work is complete each day. Make writing workshop a priority in your daily schedule. Make sure students know that writing time is important. Find hidden time by minimizing transition times. Eradicate unnecessary things like copying homework (which can be posted for students on a class web site or Google Drive). Enlist your students to help with materials distribution and collection. “Fire-test” your teaching, eliminating anything unnecessary from your curriculum. It’s okay to let go of things you’ve “always done” if it isn’t valuable to student learning. Talk to service providers about pushing in, rather than pulling out, to work with students. Keep an open line of communication with administrators about scheduling issues. Talking with administrators about limiting disruptions (e.g., public address announcements, excessive assemblies or interruptions) so you can maximize your teaching time. There are useful resources, such as the following writing survey, in the book as well. Used with permission from the publisher. All rights reserved. Colleen’s entire book is helpful. It’s a must-read this summer so that you’ll be the unstoppable writing teacher you want to be when school starts this fall. For a chance to win this copy of Sharing the Blue Crayon, The First Six Weeks of School, The Unstoppable Writing Teacher, and Way More Than Luck, please leave a comment about this post by Friday, July 3rd at 11:59 p.m. EDT. I’ll use a random number generator to pick the winners, whose names I will announce at the bottom of this post, by Sunday, July 5th. Please specify which book(s) you’re most interested in. Every effort will be made to match winners up with the book of their choice. If you are the winner of the one of these book, I will email you with the subject line of TWO WRITING TEACHERS – 4 BOOKS YOU SHOULD READ. Please respond to my e-mail with your mailing address within five days. Unfortunately, a new winner will be chosen if a response isn’t received within five days of the giveaway announcement. Sharing the Blue Crayon will go to Susie. The First Six Weeks of School will be sent to Teacher Geek. The Unstoppable Writing Teacher will go to aebartlein. Way More Than Luck will be sent to barbarasut. ← How NOT to Publish a Picture Book. It’s always wonderful to have quality educational books highly recommended. The Blue Crayon or The Writing Teacher would be brilliant for my work with prep to year 3 teachers at the moment. Thank you. All of these books look great. 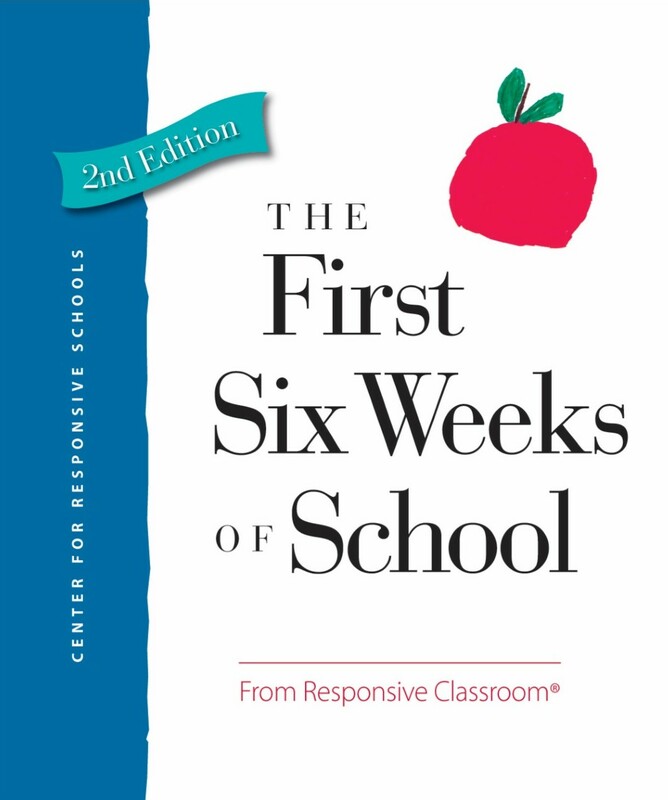 I have been using The First Six Weeks of School for years and I just ordered the new edition. I would love to have a copy of the Unstoppable Writing Teacher. I have a feeling it has some lessons that will really come in handy. What wonderful book ideas for summer reading…would love to read Sharing the Blue Crayon. Thanks for sharing. The books look like great reads with helpful advice. What great choices! Sharing the Blue Crayon just may be my next read! Your book sounds like an amazing resource! I teach writing with mentor texts and can always use more guidance. Thanks for sharing the titles above. I hadn’t heard about Sharing the Blue Crayon. I think that one could be a “life-changer” for me as a teacher. Friendship workshop? Wow! Your book sounds like an amazing resource. I teach writing with mentor texts and would love more guidance about how to do that. I’m looking forward to reading your book! Thanks for sharing the titles above. I had not heard about Sharing the Blue Crayon. That one sounds like it could be a life-changer for my classroom. Friendship workshop? Wow…just wow! The Unstoppable Writing Teacher looks like just what I need to get over hurdles with writing. Thank you for all that you do to inspire. I would be delighted to have a copy of Sharing the Blue Crayon or The Unstoppable Writing Teacher! Great choices! Can’t wait to check out The Unstoppable Writing Teacher! I am especially interested in Sharing The Blue Crayon. Excited for the “The Unstoppable Writing Teacher” to get ready for writing course this summer and coaching teachers and students next year! Always on the lookout for good sources of inspiration! Way More Than Luck sounds like it might be just the right thing! Thanks for offering these books! I have The First Six Weeks of School on my Amazon wishlist but I’m going to hold off purchasing for a couple days and just cross my fingers I win a copy here!! I’ve been working as a reading specialist most recently and also took some time off previously to stay home with my boys but this year I am so excited to be a first grade teacher. I’ve been watching the responsive classroom videos online and would love to learn more. Thanks for the contest. I have been eyeing The Unstoppable Writing Teacher for the last couple of weeks, but my husband has made me slow down on purchasing books for school! Putting all 4 on my summer reading list! Would be happy to win any one of the four! Great, now I have a bigger TBR virtual pile! Ha! I love a good book recommendation and cannot wait to get my hands on these! Thanks for sharing! Thanks for adding to my summer personal professional development. Though I am a veteran teacher, The First Six Weeks would be a good choice for me as I will be teaching a combo class this year. Stacey, Thanks for sharing this list! Looks good! And congrats on your new book–can’t wait to read that one!! 🙂 I have been anxious to read The Unstoppable Writing Teacher! Thanks for the chance to win. I am leaving the regular classroom to be a half time reading interventionist and a half time literacy coach in the fall. All of the books you have listed sound amazing and will be great resources for me on my new adventures. Lots of summer reading to be done! I was just at TCRWP’s June Writing Institute, and in short, I’m inspired. I had the chance to hear Colleen Cruz speak, and she’s just amazing! I’d be great to delve deeper into her book, The Unstoppable Writing Teacher. Thank you for being such a lovely resource for PD and advice on reading & writing! I love following this blog! Colleen is an incredible speaker! Lucky you! Thank you for your insight and your reviews! They all will be on my list but I would love the chance to snag Sharing the Blue Crayon or the updated The First Six Weeks of School! Very excited for these new book recommendations! I am most eager to read Sharing the Blue Crayon! I’d be ecstatic to win any of these books but I have The Unstoppable Writing Teacher on my Wishlist right now, most of all. I would love to use Cruz’s recipes for working with sophisticated writers as I take a more editorial approach during my conferences. Thanks for this list of good professional reads! All four seem great! I would particularly love the Unstoppable Writing Teacher, as any suggestions for how to make my Writing Workshop run more smoothly would be fabulous! My summer reading list is piling up fast! After buying Reading Strategies, I am rereading some of Jennifer Serravalle’s works as well as many history books for a course I am taking. I am eager to get my hands on Collen Cruz’s new read too! I hope I can fit it all in. Thanks for once again suggesting some great reads! The Unstoppable Writing Teacher and Sharing the Blue Crayon are at the top of my list, but honestly, they all sound great! Can’t wait to read them all…however I would love the Unstoppable Writing Teacher. Congratulations for sending in your book! All of the book choices will make a great summer read. Thank you for your suggestions and your commentary of the books. The First Six Weeks of School, 2nd Edition or The Unstoppable Writing Teacher either book will make a great addition with assisting me with my classroom friends a.k.a. students. Enjoy your summer. Great choices here, Stacey. (And by the way, congrats on submitting your manuscript!) My first choice would be The Unstoppable Writing Teacher. Was wanting it anyway, but even more so after hearing Colleen talk about it last week at the Writing Institute. Second choice would be The First Six Weeks of School, followed by Sharing the Blue Crayon. Thanks for sharing the information contained within these 4 books, and thank you also for the giveaway. Thanks Allison. It’s hard to believe it’s out of my hands now (i.e., until I get the edits)! Teaching social skills is an important, maybe the most important, skill I can teach as a primary teacher. Yet I find it difficult. I’d love to read ‘Sharing the Blue Crayon’. I spend my summer reading as much as I can to grow my skills. Just took a Responsive Classroom workshop and have all those books. Would love to read Sharing The Blue Crayon. 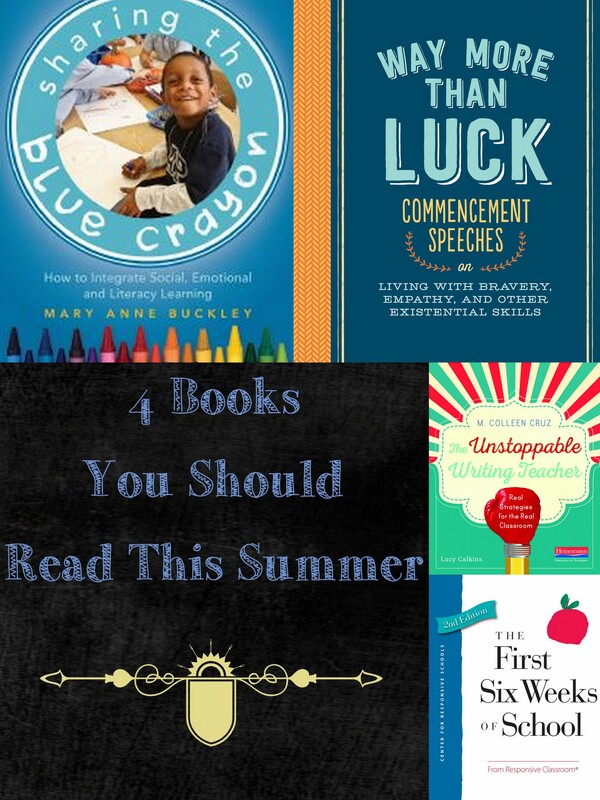 Love these four suggestions – and Sharing the Blue Crayon will be in my hands before this summer is done! Sounds like a perfect book for my teaching. Thank you!! Working with 5th grade struggling readers and writers can be challenging. Finding time to write daily within the literacy block is also a struggle. I look forward to checking out The Unstoppable Writing Teacher Book! The First Six Weeks sounds like a good read for me this summer as I gear up to (hopefully) switch grades! Thanks for sharing these great new resources. I love the responsive classroom, particularly teaching the first six weeks. I would love to have the second edition as well as The Blue Crayon. I envision this as being an invaluable tool in each of our classrooms . We value ensuring the social/ emotional concepts are in place in order for our students to be successfully available for academics. Thanks for sharing! The Unstoppable Writing Teacher & Sharing the Blue Crayon are on my wish list. I just ordered The First Six Weeks. As a third year teacher I am in need of a book like “Sharing the Blue Crayon”. After coming off of a challenging year, I know my future third graders can benefit from learning and understanding social skills, and what a better way to embed those skills than through language arts. Thanks for the chance to win! Just found your site. I’d love to read The Blue Crayon. Thanks for the suggestions. As a literacy coach I am always on the lookout for books that provide Writing Workshop support. Can’t wait to read The Unstopable Writing Teacher. So many fabulous books! I soooo want to read The Unstoppable Writing Teacher! We have used Calkin’s writing U of S for one year and I am ready to continue my learning! First 6 weeks also sounds fabulous because so much of our year depends on how successful the first 6 weeks are! Thanks for the reading suggestions! Love the many resource from Responsive Classroom….wish all of our teachers could attend a workshop. Resources are so respectful. I’m always looking for another great book! Sharing the Blue Crayon really stood out to me! Thank you for sharing these four titles! Can’t wait to read these great resources. I would love a copy of Sharing the Blue Crayon. This would be a great summer read in preparation for the coming year. We’re struggling with climate and behavior in our school. I’d love the first 6 weeks of school…second choice is The Unstoppable Writing Teacher. I would love to win Unstoppable Writing Teacher!!!! Thank you for the clear descriptions and recommendations! I love the title, Sharing the Blue Crayon, plus that cute smile on the front makes me want to go out and buy it! I would also enjoy The Unstoppable Writing Teacher. Actually, I would love them all! This will be my 23rd start to a school year, and I’m jumping back into a classroom after a chunk in a special area. The Unstoppable Writing Teacher would be a great resource for refreshing this RC teacher!! I’m very excited to read “The Unstoppable Writing Teacher.” Even though I’ve taught for thirteen years and strongly identify as a writing teacher, I always feel like there is more to learn about running an effective writing workshop. This text seems ideal for that. I look forward to reading it and for it to help me hit the refresh button on all my courses, especially considering that I’m teaching two workshop-based writing classes that have never run before in the coming school year! I’m excited, but I’ll need all the help I can get! I just took Responsive Classroom last summer, and it really makes a HUGE difference in every way! Me, I would be interested in the First Six Weeks of School. By the way, today (Sat., 6/27) is the first day of my summer vacation). I wanted to keep my PD reading to a minimum this summer, but everywhere I look there are more books I want to read! I bought Cruz’s book and it’s waiting for me to finish Word Nerds. Blue Crayon keeps popping up on lists and calling my name. I’m gonna need an extra week of summer! I always know when you recommend books, they will be worth buying! I have a pile of summer reads and would love to add these to the stack! I would love a copy of, “Sharing the Blue Crayon”! Very timely post as I’m currently selecting my summer reading! I’m most interested in Sharing the Blue Crayon and The Unstoppable Writing Teacher. All of these books sound great! My choice is “The Unstoppable Writing Teacher!” Thanks! Sharing the Blue Crayon sounds like a great book. Thanks for sharing the info. It’s amazing how many responses there are when a free book is at stake. I guess we are all bookophiles at heart. I hope to lead (outside of school) a recovery group for teachers wanting to get back their mojo. I think the book, Way More Than Luck, would be very motivational and helpful for my workshop. Thanks for such a generous (in so many ways) post! What a great idea, Barbara. I know quite a few teachers who could use a group like that! Blue crayon would be my first choice, way more then luck would be my 2nd. Thank you for these recommendations. I am trying my best to use responsive classroom in my first grade classroom I love everything about it. Sharing the Blue Crayon sounds like a perfect fit for me and what I want to strive for in my kindergarten class. Also I’m interested in the First 6 Weeks. Are there many differences from the first addition? 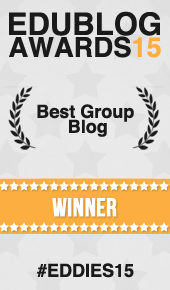 I’d love to win “The Unstoppable Writing Teacher!” Keep the recommendations coming– love them! Thanks! This is awesome! I love summer for PD, especially PD reading! Unstoppable Teacher is right up my alley! Thanks for hosting the giveaway! I would adore The Unstoppable Writing Teacher! I would love the unstoppable writing teacher or the first six weeks. Adding one of these to my reading this summer would be awesome!! Thank you. Thanks for the awesome book reviews … They have been placed on my “must read” book list. I would love the unstoppable writing teacher or the first six weeks. I love my summer reading and hope I can add one of these to my pile. I would love to have a copy of the First 6 Weeks of School! Responsive Classroom has made such a difference in my classroom! Wow! I was just looking for some books for summer reading! Sharing the Blue Crayon is first on my list. I have the 1st ed of The First Six Weeks of School and can’t wait to read the 2nd ed. Thanks for sharing these and the give away! Hi! I’d love to win The First Six Weeks Of School!! Thank you for this opportunity! So glad to read this tonight! I can’t start the school year without The First Six Weeks of School (and would LOVE the new edition, since my old one is literally falling apart) but I’m now wondering how I’ve survived this long without Sharing the Blue Crayon too! I appreciate the concise way you have summarized these books. I have a stack that seems to keep building up of books I want to read this summer. I haven’t bought The Unstoppable Writing Teacher yet, but I came very close the other day-so that would be my preference. Thank you! Thank you for sharing these 4 book reviews! they all sound very inspiring. I’m having trouble choosing one over another…any one of them would be amazing to win! I love the 1st Six Weeks of School, it’s a lifesaver every year. I’d be so excited to win the Blue Crayon book or THe Unstoppable Writing Teacher – they both sound amazing and are areas of research for me this summer. Thanks for the give-away! Congratulations on the completion of your book! A celebration is in order! Thank you for offering this giveaway. I would be thrilled to add any of these books to my TBR tower. I’m looking forward to adding your new book to my TBR list. When can we expect to see it? It should be out by Feb. 2016. However, I’m still awaiting permissions to use text from three different books. I suppose if we have to wait longer (or if those don’t come through), then the pub date might get pushed back. Any of these books would be great summer reading OR for my professional books library! I would love to read The Blue Crayon!!! 🙂 Thanks for the introductions to these books. Since I am going back into the classroom after 5 years as a full time coach, the books on classroom culture are very interesting to me. I want to be sure my students have a positive atmosphere in which to learn. Colleen Cruz’s book is already in my pile of books to read this summer. I was even lucky enough to get my copy signed by her at a home grown institute in my district. Thank you for your book suggestions and chance to win one! I would love The First Six Weeks, followed closely by The Unstoppable Writing Teacher! All of these titles look fantastic! I’m especially excited about The Unstoppable Writing Teacher! I would love the First 6 weeks! Actually any would be great! I would love The First Six Weeks of School!! As, I prepare to re-enter the classroom full time, I am both daunted by the task but excited about the things that are happening in creative classrooms taught by truly dedicated teachers. I love the 1st 6 weeks of school and would love to check out the new edition! What a perfect list! Hope I win…hehe!! The First Six Weeks of School is my top pick. Followed coldly by Sharing the Blue Crayon. However, I would enjoy any of them. Thanks for such a generous hie-a-way. I would love to win a copy of The First Six Weeks of School! I’d love the first six weeks! I went to a responsive classroom training a month or so ago and am working on implementing it next year! Thank you for sharing on these 4 books. I am a new teacher (getting ready for year two!) and just finished Responsive Classroom training yesterday. It was fantastic! I have a long list of books I wanted to order, with The First 6 Weeks being one of them. It would be a great asset for starting out the school year!! These all sound like great books, but I’ll choose Sharing the Blue Crayon. I would welcome the opportunity to read all of these books & share the knowledge I gain with my students & collegues. Gearing up for my 13th year of teaching and this year will serve as a literacy leader in addition to my work with new teachers! I would love to get my hands on The Unstoppable Writing Teacher or Sharing the Blue Crayon!! The Blue Crayon sounds like a great book to help me with my Responsive Classroom approach. I like all 4 of them, but The Blue Crayon would be the book I would buy if I could afford it. I had a hard time this school year doing the Responsive Classroom in a Title 1 school where no one else does it and where 90% of the children are on Free/Reduced lunch. Maybe the Blue Crayon would give me some inspiration or insight into how to have more responsive parents. I find it increasingly harder every year to do build a social/emotional curriculum with high stakes testing, mandated curriculum, under the microscope teacher evaluations, and little parental engagement, plus poverty. Looking for inspiration! RC changed my life too!! Would love a copy of the new edition of The First Six Weeks of School. I would love to read all of them but especially The First Six Weeks of School and The Unstoppable Writing Teacher! This will be the start of my 36th year and a grade level change! I am ready for some new ideas! I’d love to have a copy of the newest edition of The First Six Weeks. I’ve used it every year I’ve taught (first grade), and currently use it in my methods courses with undergraduate education majors. It’s hands down one of my favorite resources as an educator. I would love The First Six Weeks. I’m enrolled in responsive classroom later this summer. I attended my first Responsive Classroom Teacher Workshop last summer and was delighted and inspired by all I learned. My teachers have been implementing Morning Meeting and Writing Workshop in their classrooms. The RCT approach fits the philosophy of our school so well. I cannot wait to send ALL my teachers to RCT training in the future. I am looking forward to RC 2 Training coming up in a few weeks. I’ve been reading RCT books this summer in preparation for the fall. Great job finishing your book. Thank you for sharing your list of books. The Unstoppable Writing Teacher would help me a lot with my writing block. The First Six Weeks sounds like a great book to compliment any classroom. All four books would be a great reference source for anyone. I love the Responsive Classroom – what a terrific opportunity. Thanks for sharing some of your books – the writing book looks fantastic! I would love to have a copy of Sharing the Blue Crayon or The Unstopable Writing Teacher. Thanks so much! I would love to win Sharing the Blue Crayon to add to my summer reading and sharing list! RC is the foundation of my GT/enrichment classes from K-4th. It is the “cherry on top” of a culture of joy and safe learning. I love Responsive Classroom too! I would love to read Sharing the blue crayon, it sounds like a great book to partner with The First Six Weeks. I have the first edition and was wondering how they could make it better!! I just took a Responsive Classroom Course last year and loved it!! I would love The First Six Weeks or The Unstoppablw Writing Teacher. I will be going back to work full time in the fall after a lengthy maternity leave! Very excited!! Thanks for sharing! Bought them all – thanks for the recommendations! These sound great! I would love to read the Unstoppable Writing Teacher and Way More Than Luck. It sounds like The First Six Weeks would be a good addition to the Positive Discipline that we use, so I should read that, too! I adore Responsive Classroom. It transformed my teaching and my classroom environment. I would love to win a copy of The First Six Weeks of School. We’re looking to better support social/emotional development at my Title 1 Responsive Classroom school and Sharing the Blue Crayon looks like a great starting point. Thanks for sharing your list. I am always looking for great resources to help refine my practice. Although I have been teaching for well over 20 years, I use my summer as a way to reflect for improvement. Reading educational texts is a primary way I achieve this goal. I value your recommendations. 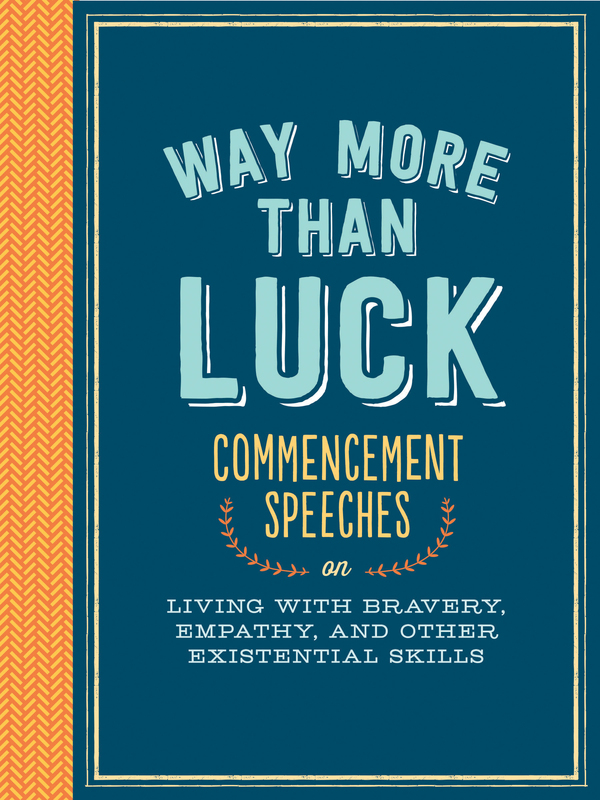 As a secondary teacher, I am most interested in the commencement speeches text: Way More Than Luck. I always a so grateful for book suggestions. And book giveaways. Hi, These books all look wonderful! I would choose The Unstoppable Writing Teacher. Thanks for reviewing these four books. I have The First Six Weeks of School, and I use it every year since returning to teaching. I am really interested in reading Sharing the Blue Crayon. The other two books look fantastic also. I love your suggestions. Wow! All look like great books. I’d love a copy of Sharing the Blue Crayon or the First Six Weeks. Thanks! Stacy, I too have a very large stack of books waiting for me. I also just bought Colleen Cruz’s book and I’m looking forward to reading it. I would love to read Sharing the Blue Crayon and The First Six Weeks of School. In all of the posts I read on Two Writing Teachers, I always find a useful tip. I’ve shared your blog with many of my colleagues. Thanks for your wisdom. Thanks Tracey. I appreciate your kind words and for sharing our URL with other teachers. What a fantastic post! I would love a copy of The Unstoppable Writing Teacher! Thanks for sharing! These are wonderful recommendations, and are each new to me! I am most intrigued by Way More then Luck, but alo want to read The Unstoppable Writing Teacher. Thank you for sharing these titles. I will add them to my summer TBR list. All if the books look great and I have read none of them. Thanks for the recommendations. I am so excited to see these exciting books for teachers. They are already on my to read list. I always look forward to your book reviews. Way More Than Luck looks is going on my list! The Unstoppable Writing Teacher is a must have for every teacher! Can’t wait to read your new book! I would love a copy of Sharing the Blue Crayon for my daughter who is finally getting her own kindergarten classroom. Congratulations on finishing your book, how exciting! I am in awe that you could read those books while working on your own book too. I think the Way More Than Luck: Commencement Speeches on Living with Bravery, Empathy, and Other Existential Skills and The Unstoppable Writing Teacher: Real Strategies for the Real Classroom by M. Colleen Cruz look most appealing to me being in the high school setting. I’ve been eyeing both of these titles for a while now, just haven’t purchased them, my TBR stacks are out of control as it is. Have a great 4th of July! Thanks Kelly! I realize reading all of these while trying to finish mine was a bit of a gamble, but I’m glad I did it. So glad to hear I am not alone in an avalanche of TBR books. Like you Stacey, I am excited to ascend that mountain of books! The Unstoppable Weiting Teacher sounds like the first I will need to read! Congratulations on your manuscript submission! *Writing OH autocorrect how I love thee! I could write a book on that phenomenon! Thanks for the summer reading suggestions! They all sound like great reads! I think I’ll start with Sharing the Blue Crayon! Thanks for sharing, Stacey. I’d love to read The Unstoppable Writing Teacher. These books are all amazing! I’d use any of them!! I love the responsive classroom approach. I have done something similar for many, many years. I have never actually read The First Six Weeks of School and it absolutely sounds like I need to do so. The other three books sound amazing also! I would be ecstatic to win any of these titles, but I am most interested in The First Six Weeks of School and Sharing the Blue Crayon. All four books sound great and would be a great addition to my professional library! I’m going to be a first year teacher and The First Six Weeks of School sounds like a must read for me! Thanks for putting on this awesome book giveaway! Thanks for this post–I’d love to win any of these four books! Think I’m going to have to buy a couple if I don’t win them. The Unstoppable Writing Teacher came in my mailbox yesterday. I’m looking forward to marking this one up and sticking it with notes. Thanks for your suggestions. This year my colleagues and I are focusing an enrichment class on heroes. I think Way More than Luck will serve this purpose well. I already want to copy the quotes. Congrats on finishing your book and getting it submitted. Glad to see the chocolate helped. You even submitted ahead of schedule. I can’t wait to read yours! I love reading anything to do with writing, but craft is my favorite. I still haven’t read The Unstoppable Writing Teacher yet, but after your review it looks like I need to make it a priority to get my hands on it. Now that your book is finished, you can enjoy the rest of summer. Yippee! And now I have the next few months to lose those chocolate pounds. Speaking of which, I need to get on the elliptical! Sharing the Blue Crayon sounds awesome! I would love a copy as I transition to 3rd grade. I think those social and emotional elements are cruciul to student learning in other academic areas! Thank you so much! Thanks for sharing your reviews of these 4 books. And, congratulations on your new book! I am really interested in The Unstoppable Writing Teacher and Sharing the Blue Crayon. Both of these sound like great reads, and even though you say that Sharing the Blue Crayon is for K – 3 I’m sure there will be ways to adapt the ideas for older kids. Thanks! Thanks, Elisa! I finished it up at the Highlights Foundation and got to celebrate handing it in with other writers. What could be better? I am a literacy coach so of course the “Unstoppable Writing Teacher” would be an awesome resource to share with my teachers!! Thanks so much! Thank you for your suggestions. The Unstoppable Writing Teacher is a must read for me as I shift gears into a new role as Literacy Specialist next year with a focus on supporting teachers with writing workshop units of study. This book is now on my reading list to tackle before fall! My email is julie.parker@cesuvt.org. I really want to read Colleen’s book after hearing her speak this week at the writing institute. ANd I don’t know Way More Than Luck- really curious about that one too. The First Six Weeks is such a great one to read and reread, thank you for the reminder. Hope the book is nearly finished. It is. 🙂 I submitted it to my editor on Wednesday evening. I would love a copy of Sharing the Blue Crayon and The Unstoppable Writing Teacher. This is a great list, Stacey! I will definitely check out that commencement book. Looks fantastic and so inspiring! What a great pile of books! My summer book list continues to grow and I can see adding some of these to the list. One of my favorite parts of the summer is getting a chance to catch up on my reading both professionally and personally. I had never heard of the book “Sharing the Blue Crayon” until reading your post. I would love a copy of that one! I look forward to reading more of your posts! Thank you! Thanks for this post and the wide selection of quality books. My summer’s begun and I’m scrambling for TBR titles. Many of these strike my fancy. I need The Unstoppable Writing Teacher, but would also enjoy the speeches. Thank you! Colleagues and I met this past week to discuss some professional books we are reading this summer (Growing Readers and The Writing Thief). I am always on the lookout for other books for us to read together and The Unstoppable Writing Teacher looks perfect. I just love to reAd posts at TWT about book recommendations!!! I am excited to read sharing the blue crayon, which I hadn’t heard of till today, so Thank You! Stacy, Thank you for giving everyone an opportunity to win these books. Just reading your posts gives me inspiration and more opportunities for my students to go places. Thank you for sharing the bits and pieces of the books as well. I am going to look more closely at Blue Crayon and Unstoppable Writing Teacher. In a workshop today, in fact, Units of Study. Enjoy your day and thank you again for the opportunity. My email is ruthmiller@rsu57.org. These books look fantastic! I started the Unstoppable Writing Teacher and love it. The problem is I recently bought several professional books and have no more room! If anyone buys the First 6 Weeks of School and then wants to do an exchange, I will end you the Unstoppable Writing Teacher. Or any of the books really! I was just thinking The First 6 Weeks would be the one I need the most! Sharing the Blue Crayon looks great too and the speeches also! This next year brings a new adventure! I will become a self-contained teacher at a school with a focus on STEAM in a gifted cluster class! I am so excited! At the beginning of my 22 year, I am going back to a place that encourages teachers to be the facilitator of a child’s learning. Building community is priority at the beginning of eavery year. My stack of professional resources are saying, “Welcome to Dianne’s library!” If I don’t win these books, the other three will be added! Thanks for the reviews!! I’m going to have to go ahead and order The Unstoppable Writing Teacher! This is the first time in 6 years that I am NOT at the Summer Writing Institute in NY. I love the Responsive Classroom approach and aready own The FIrst Six Weeks of School. I’d LOVE a copy of Sharing the Blue Crayon. Thank you for this post. Thank you so much for sharing such an amazing array of books. The Unstoppable Writer Teacher would definitely be an amazing addition to my library. One that I could share with my colleagues in our middle school. It is true that one of the major struggles in our humanities classrooms is managing to ensure that we provide the students with consistent writing time. I know that the strategies outlined by Colleen Cruz would really provide us with some direction. Love all of these books. Would love to read The Unstoppable Writing Teacher. Email: Lesliesmc06@gmail.com. THANK YOU!!!! I use the Responsive Classroom book and all its techniques and it makes life much easier!! Always looking to improve my teaching of writing which is my passion. Thanks for the ideas!! PS- Still in school til June 30 on Cape Cod. Stacey, What a great pile of books to work through! I completely agree with you about the Responsive Classroom! I received training over fifteen years ago and I still use things I learned from them!!! I’ve heard a lot about that Blue Crayon book and I wish it was for middle schoolers too! I have Colleen’s book waiting for me at home! You introduced me to something new…Way More Than Luck: Commencement Speeches on Living with Bravery, Empathy, and Other Existential Skills. THAT book sounds amazing! I may have to check it out. I can’t believe you read these books while finishing your own. Thanks for the great recommendations!! Happy Reading! I need to have my head examined for doing that, Michelle! Firstly, I am so excited that you sent in your book! I am currently reading Sharing the Blue Crayon and really enjoying it. I reread parts of the First Six Weeks every summer and have shared it with so many. The Unstoppable Writing Teacher is definitely one I must get (fingers crossed for the give away, but realistically I can’t wait to visit the US this summer to see it and so many other books! ).